One of the things that I love about Genoa is its real soul. This old town, rich in contrasts, has not changed, even in front of travelers eyes, it maintains its authentic nature! What I mostly like is to wander and “get lost” through the snake of narrow alleys of its medieval center, called “carrugi” in genoese dialect, and find out many different kind of charming old boutiques or ancient small food shops. I automatically end shopping in these beautiful corners. I can’t resist! In Genoa Chiaroscuro and the Soul of a Port City, James Martin tells you about a town off-the-beaten-path! 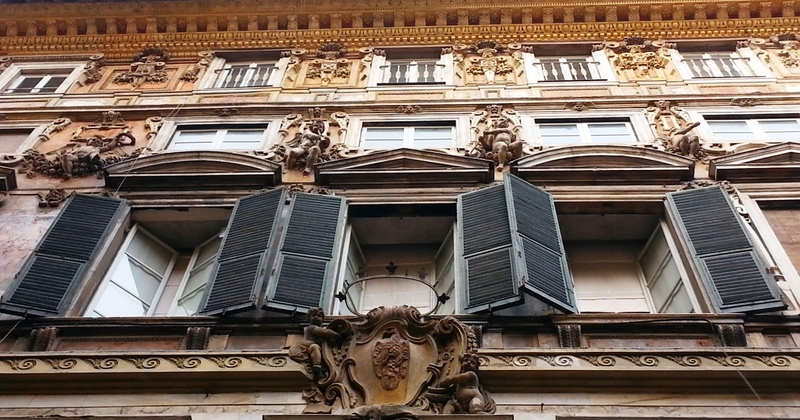 Explore Genoa largest medieval town in 4 days! To mention just few of them, for example I love to stop at the Drogheria Torielli, which is a very small boutique of spices born in 1929. When I step into this place, it gives me the impression that I have entered into the pages of a magical book, which talks about the secret and magical power of herbs and spices! Not so far from this shop, I like to have a break at Cremeria buonafede. A tiny caffeteria, which has been in business for one hundred years. Today the fourth family generation is running it proudly. It’s “hallmark” is the amazing fresh cream that they do every day. 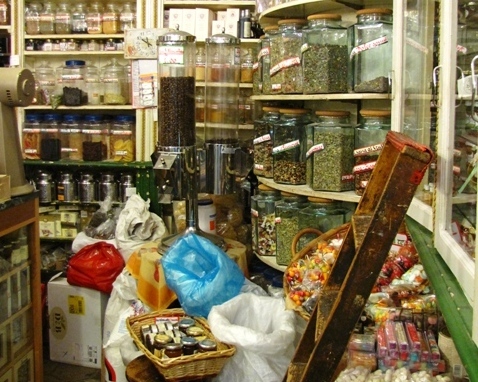 Few steps from the Cremeria, I like to enter the beautiful two hundred years old Romanengo shop! Especially during festivities, I love to make special presents here. Entering this old shop is like stepping back in the time. 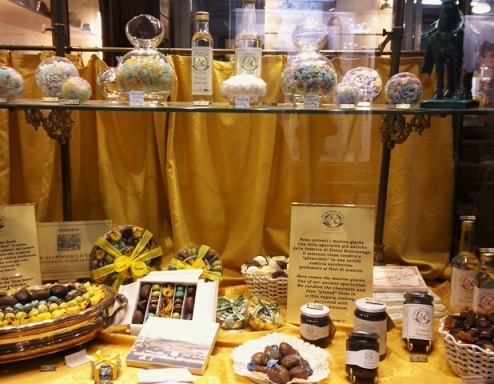 Here you can find traditional manufactures of candied fruit, chocolate, drages, bonbons, preserves and desserts. The products are made with the same recipes used centuries ago by the “confiseur-chocolatier”! These are just 3 of my favorite corners where I love to stop while in Genoa, but there are many others still alive, which are consciously attempting to maintain a balance between tradition while embracing the new. What I would recommend to anyone coming to Liguria is to take a look at Genoa old town, better with a local tour guide which knows its secrets, and travel deeper, not stopping just to the beautiful Cinque Terre villages. Trust me!